Come join us for the biggest games festival on campus. 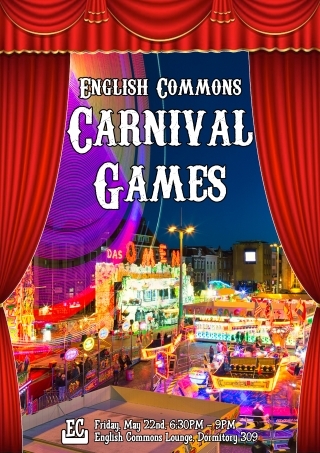 We are going to have lots of carnival games including balloon darts, ring toss, and bean bag toss. We have amazing food: hotdog, cotton candy, slush, and popcorn.